Poppies at Play: Stamping Set and Vinyl Giveaway! Stamping Set and Vinyl Giveaway! 2 more days of GIVEAWAYS!!! DJ Rose, the winner of the hippo appliqued onesie! Fire, the winner of the Tattie! Thank you Coretta and Marilyn for your donations!! •Lapis Lazuli, Peridot, and Tourmaline glitter (pink)"
The acrylic stamp mount included features an etched and printed grid for accurate positioning of your stamps! 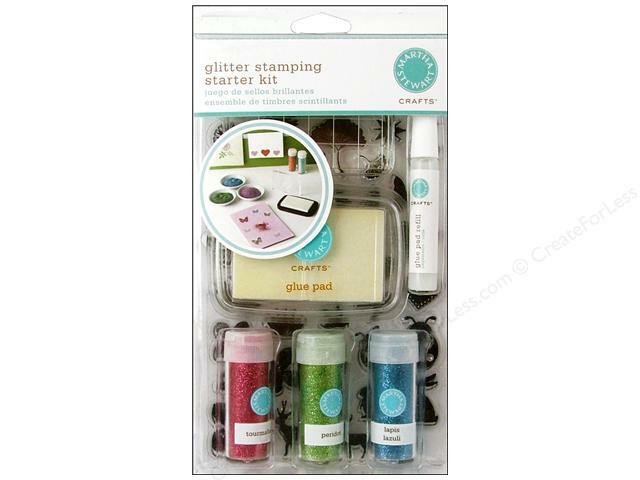 If you are interested in Glitter Stamping, this is a great way to get started! Stop by A Creative Space and say hello and thanks for this great giveaway! What I thought would be a blog mostly about paper crafting and polymer clay, has been more about re-do's, yard sales and working with what you have. I have very few paper crafting posts so far. Maybe that is because most of my crafting room is filled with boxes! :) Something I am working on! I am very excited to participate in Andy's GIve-Away! I'm going to throw in another vinyl giveaway! This vinyl is 13.5''X13.5'' and fits well on a 15.5''square tile! I'll be adding it to The Market next week! To enter for these giveaways, you'll need to let us know a little bit about yourself! "My Mother always taught me to..."
The winners will be announced Friday morning. Stop back by for a chance to win a How To Slipcover DVD by Shelley! I'm tempted to enter myself!!! to make my bed! I can't stand to have an unmade bed now. Oh and it just can't be sheets and covers quickly thrown up- it has to be pillow perfect! to make my bed and wear clean underwear! to wear a slip when wearing a dress. i see so many girls (and women) with thin dresses on and can see their underwear! to never return a bowl or plate empty. If someone was kind enough to provide you with something then, according to her, you return the favor. ...to always wash behind my ears! Choose a large and less messy noodle (such as penne) when on a date at an Italian restaurant! not say anything unless you can say something nice! She's taught me many things over the years but this little phrase sticks out more than others. Thanks! ...to think before I speak...but also to not be afraid to stand up for myself. to put the radio station back on FM 100 when I returned her car! do things right the first time. I can't say the amount of time that I had to re-vacuum the entire room because I missed one spot. Dang brown carpet that shows all the dirtiness. ;-) Now I know and do it right the first time so I don't have to re-do. to look on the bright side of things. I used to hate it when she would point out that other people had bigger problems than I did. Now, I use it everyday to stay positive & realize how good I have it! wear clean underwear in case you had to go to the hospital. forgive and forget. I remember being amazed as a young married adult that so many other adults held grudges against people. Growing up my parents never said anything bad about anyone and seemed to be friends with everyone. Thanks for the chance at this fun give-oh-way! ...to never buy anything at full price! .... to wear clean underwear and socks, think before you speak and always say yes ma'am and no ma'am. My Mom also taught me to wear clean underwear in case I was in an accident and had to go to the hospital. Last month I did have an accident and while I was in the ER my husband smiles and says, "I just have to ask, do you have on clean underwear?" I guess that must have been drilled into him as a child also! ... to use common sense and think before I act. I always try to remember this, a lot of people just don't even think. you can do anything you have your mind set on!! She taught me that I could do anything I set my mind too : ) Great giveaway. I've never understood the clean underwear thing. If I were in an accident, even if I had clean underwear on to begin with, I'm guessing they wouldn't be clean by the time I got to the hospital. My mother always taught me to crank up the music when some cleaning needed to be done. to not say anything unless I has something nice to say. hey scary movie night at my house friday at 7, you should come! My mom always taught me to say I Love You to family members before leaving, even if you are mad, because you never know if that might be the last time you ever see them. The ONE time I was upset and didn't say that to my husband before he left (because we were in the middle of a fight) he ended up having a seizure and getting in a car crash. He was fine, but that phone call almost made me pass out. My mom was so right! You just never know! My mother always taught me to send handwritten thank you notes when you can. For a gift, to thank another for their talent, just to say hi, etc. Make my bed. She would hold the bus for us, or make us miss it entirely if we hadn't made our beds before school. Also, to be kind to everyone since you never know what is going on in their life behind the scenes and who might need a smile. to be happy and enjoy every second of each day! To wear clean underware when I leave the house!!! Haha, you never know when they'll need to be cut off you! To play nice with others. 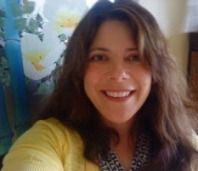 oh she has taught me soooo much, about being a mom and sacrifice. one thing that stands out is she always told me before i left the house each day "hold your name high." priceless advice to always be aware of your reputation. to speak correctly! We can't stand bad grammar around here! never go to bed with a sink full of dishes! ...to do the right thing (no matter how difficult it may be). ...to live by the Golden Rule. My mom always did and was a great role model for her family. to put your children before yourself,always. to not let what others think impact me. She taught me to love being me!!! Like my mom always says, "if you got it flaunt it!" to look for beauty in everything. I hope I am as good a listener as she is. go for Baskin Robbin's ice cream immediately after getting something ouch-ey done at the doctor. Double scoops for immunizations. to be a good listener and friend.